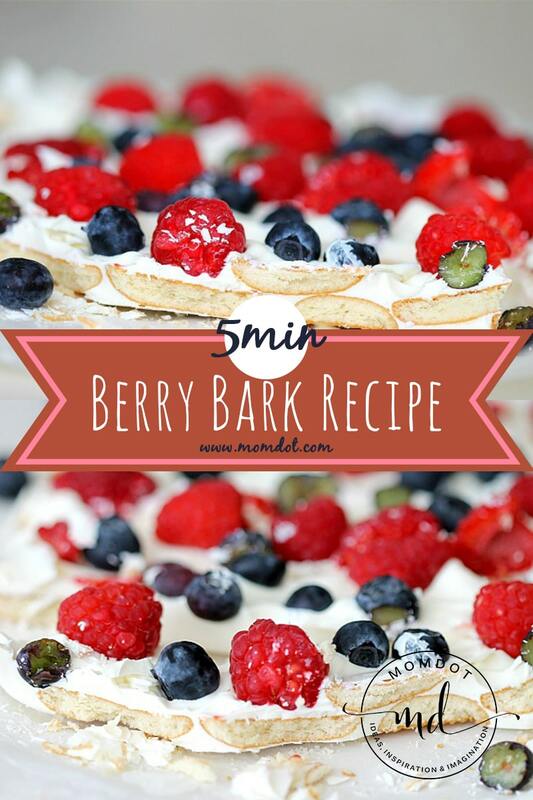 This 5 minute Berry Bark Recipe will not leave you in the kitchen working the day away. Its easy, simple, and perfect for holidays that are low on time and heavy on obligations. 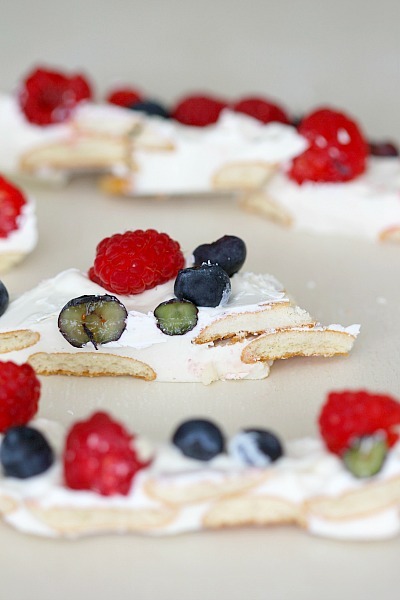 Scroll below to grab this Berry Bark recipe and get started! Since we all know that I cant bake, I like to make things that do not require a lot of “oven” time if you know what I mean. 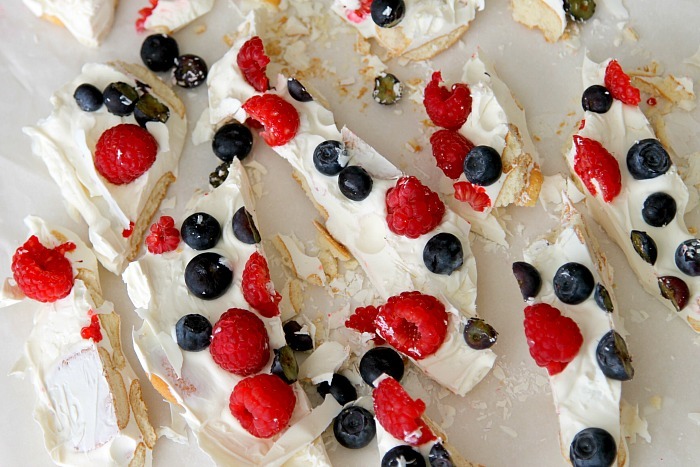 So when I saw an idea for chocolate bark with fresh fruit in a BHG magazine, I knew I had to try it! Turns out, its delicious and quick, quick, quick! 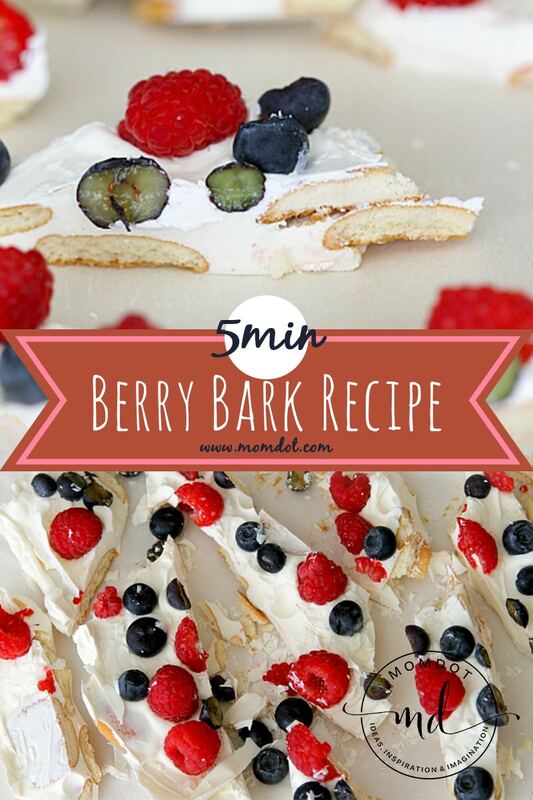 In under 5 minutes, I had a beautiful bark dessert that I didn’t feel overly guilty about. I layered my vanilla wafers on top of parchment paper inside a glass baking pan. I melted my white chocolate in a bowl, every 30 seconds, till it was good and melted. You can add food coloring specifically for chocolate here if you are interested in making colored bark. Pour your melted white chocolate over your wafers and spread with a spatula until it has an even layer. 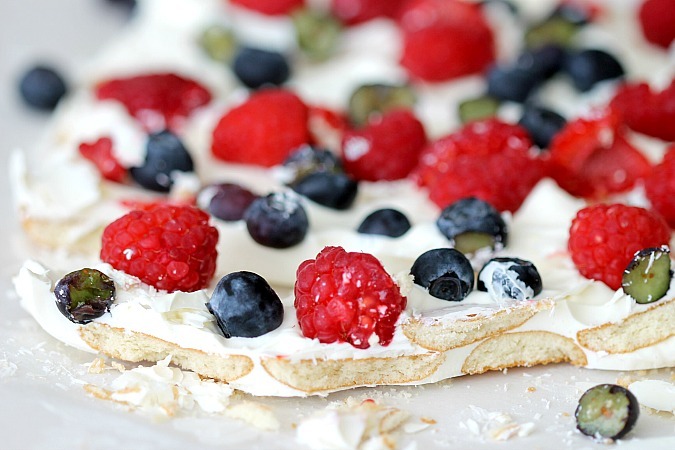 Let harden for about 3 minutes and then press your raspberries and blueberries onto the top. I let mine set in the fridge overnight and then cut with a knife the next day. Make sure you Pin this one for later! « Ever After High Raven Doll : OMG! Now this is right up my street! The addition of the vanilla wafers is genius! Oh. My. Goodness!!! That looks soooo delicious! I absolutely LOVE your pictures too! 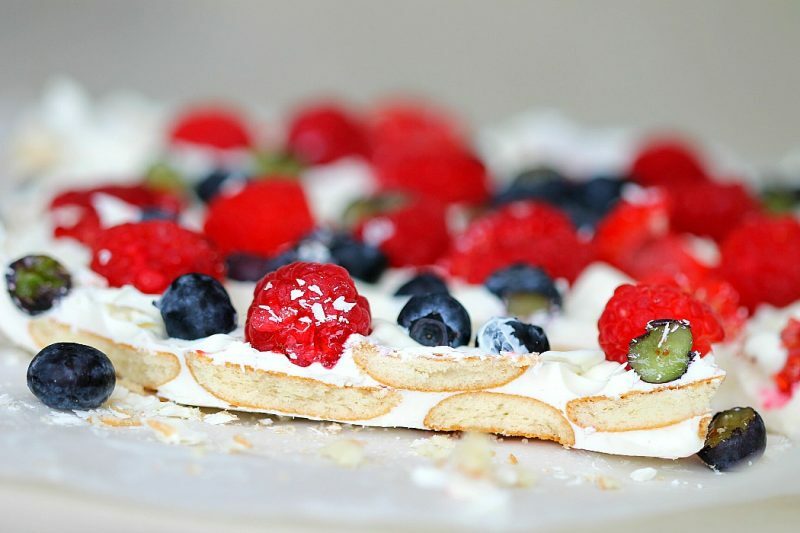 I love the wafers in the bark, I’m going to try this! I would never have thought to put Nilla wafers in candy bark. That sounds sooo good. Oh man, I love the addition of fresh fruit and the vanilla wafers. This looks delicious! If it didn’t take a plane ride and about 12 hours to get to you, I’d be there in a heart beat. This looks amazing! Oh wow this looks great. Never thought to put wafers in it!! 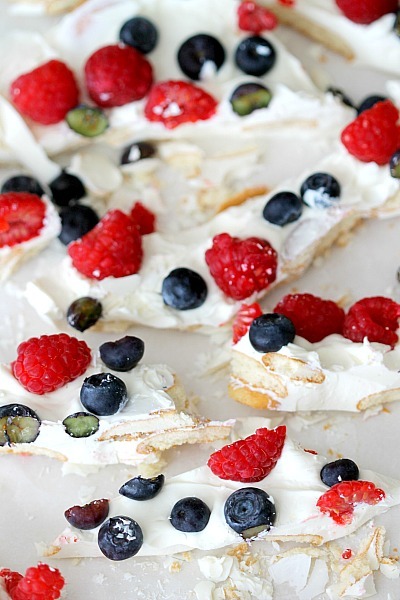 Love the fresh berries idea!! !